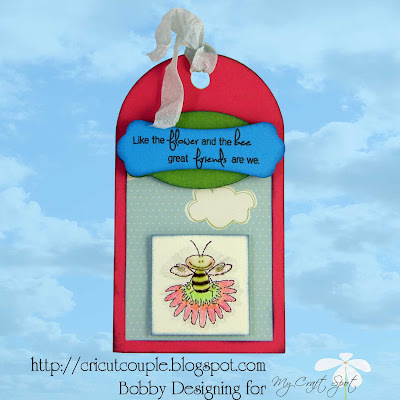 I used the Tiny Tags stamp set to make this cute little tag. 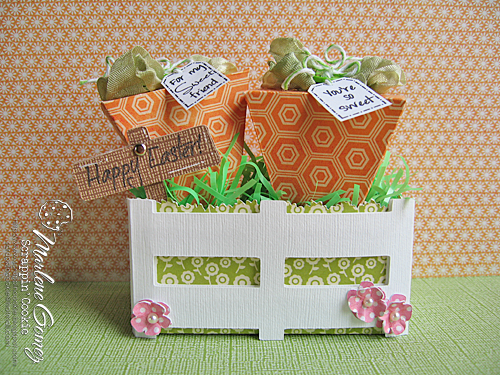 Click HERE to see more projects using the Happy Easter stamp set. 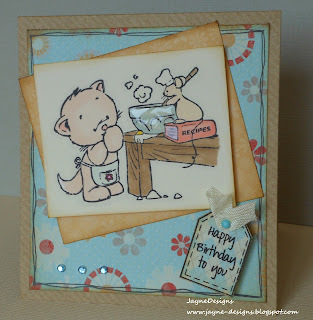 Click HERE to see more projects using the Birthday Wishes stamp set. 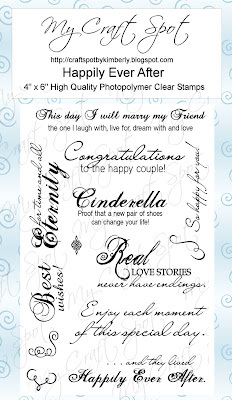 Click HERE to see more projects using the Happily Ever After stamp set. Click HERE to see more projects using the Tiny Tags stamp set. 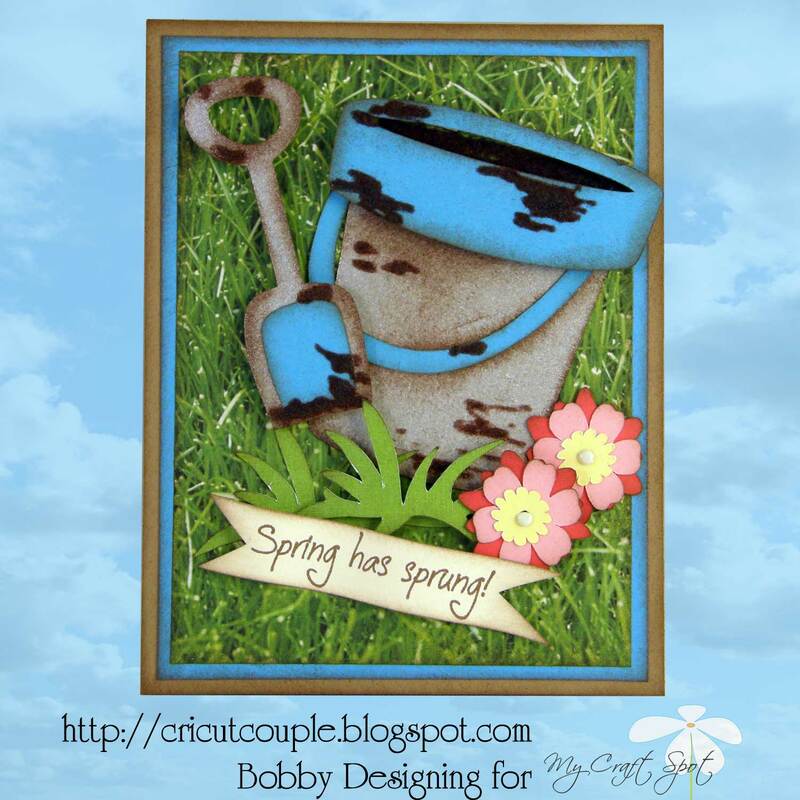 Click HERE to see more projects using the Butterfly Kisses stamp set. 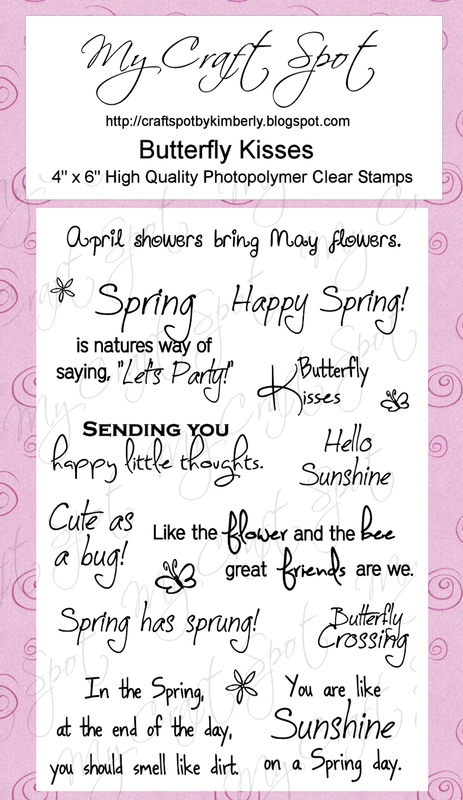 All of the new Spring Release - 5 stamp sets! Now go see all of the awesome projects my Design Team members have created! 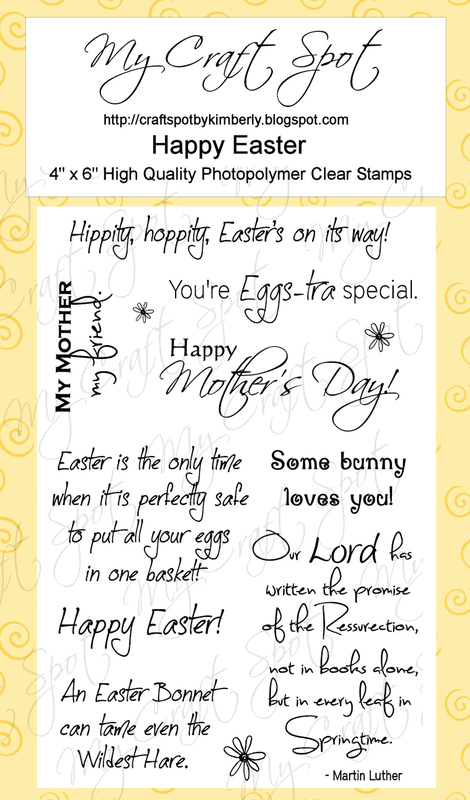 Remember to leave a comment at each stop - each has one of the new stamp sets to give away!! 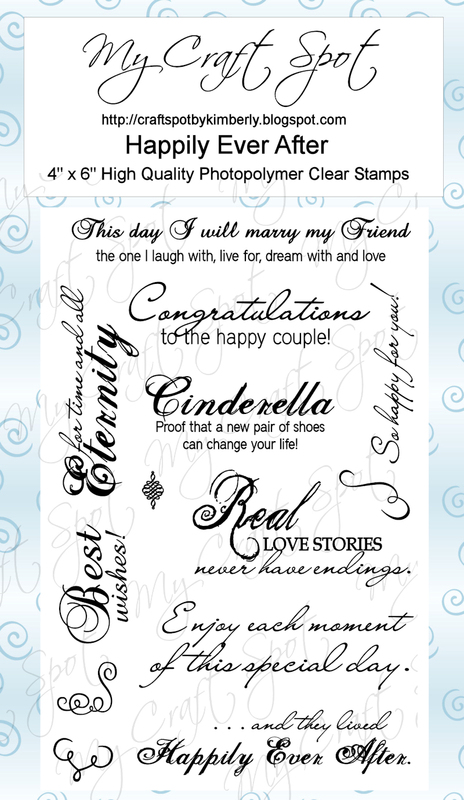 I am giving away the Happily Ever After stamp set! 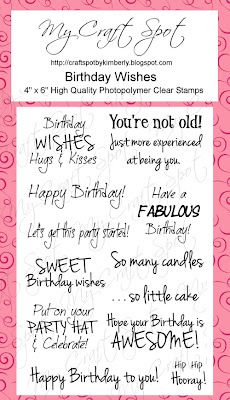 Welcome to day #5 of our Stamp Release Party! 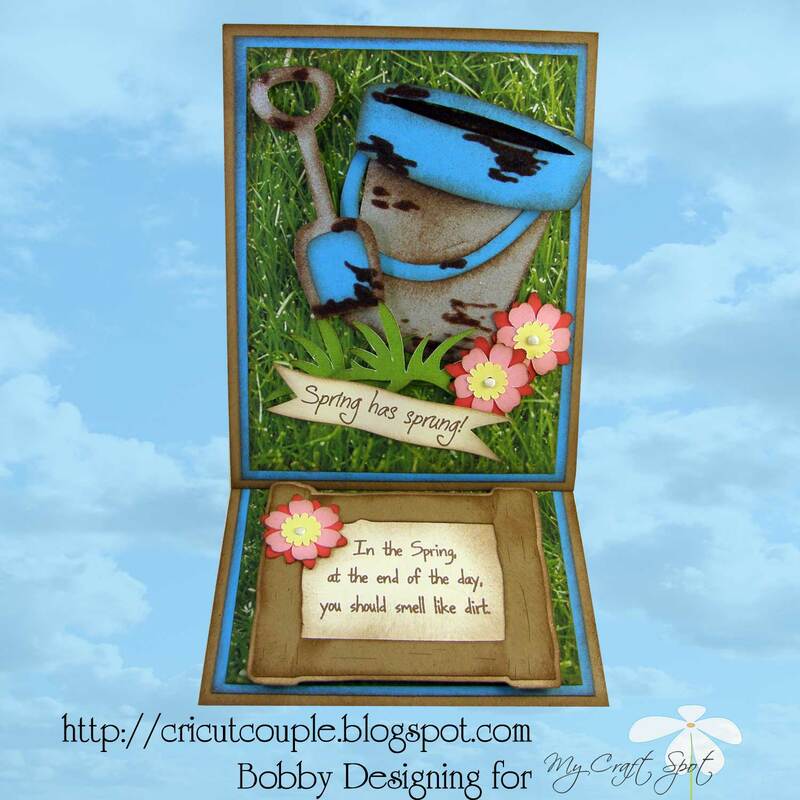 Each day you will get a sneak peek at one of the 5 new stamp sets. I have the most awesome Design Team so you are in for a real treat! 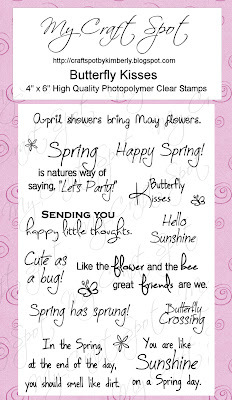 Today's stamp set is Butterfly Kisses. 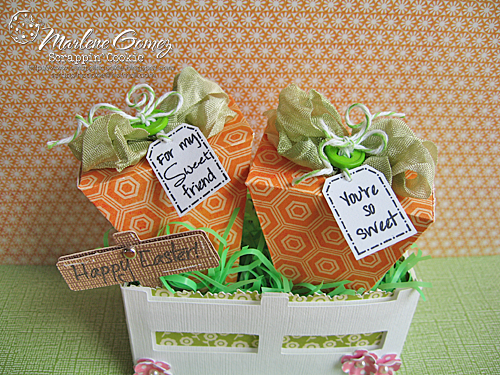 This fun basket cut is from the Tags, Bags, Boxes, & More 2 cartridge and the flowers are from the Flower Shoppe cartridge. 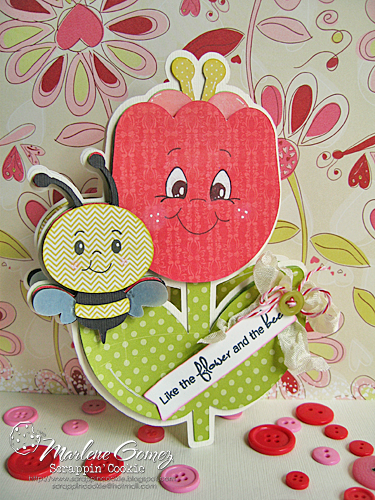 I used the tiny flower stamps in the Butterfly Kisses stamp set to stamp the flowers on the handle. I will post more pictures and detailed instructions next week! 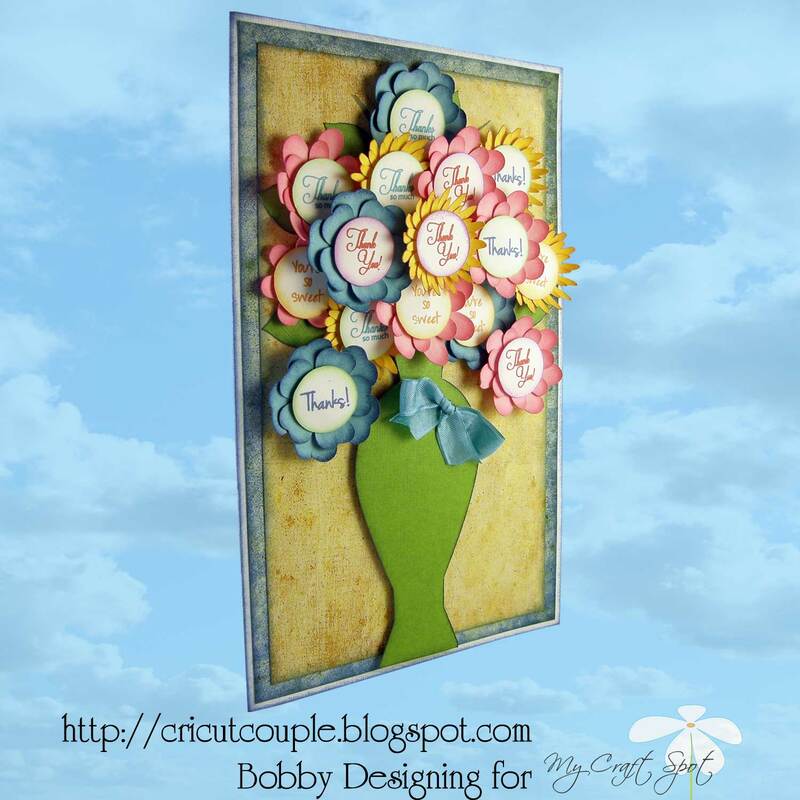 How about some inspiration from my fabulous Design Team?!?! Jayne's bee is adorable! I love the clear embossed wings! 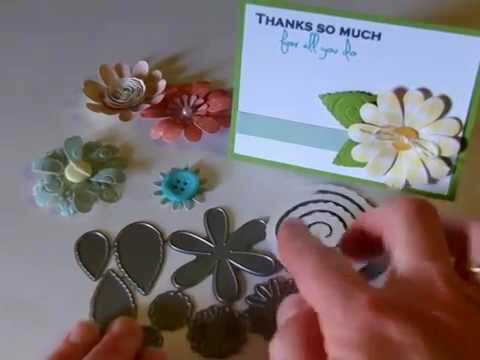 Aymee's note card gift set is so pretty! I love the big rhinestones and the papers she chose! The butterfly on Aymee's card is gorgeous!! The set includes 6 cards. 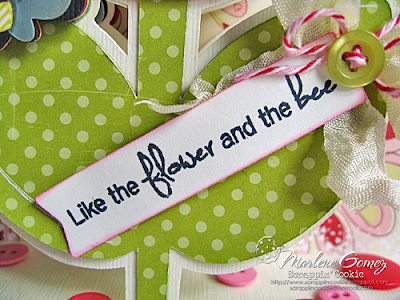 Aymee stamped the sentiment 'butterfly kisses' on each of the cards and a couple of the butterflies on the scalloped circle. Amber's little gnome is so cute and I love the stitching on her card! The Crinkle Ribbon, button and twine are a great combination! 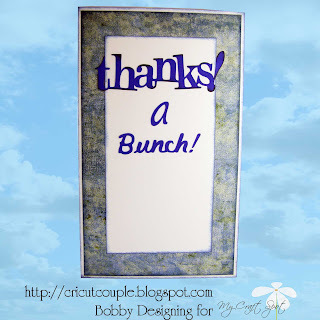 I love how Bobby framed this fun sentiment and the bright colors are awesome! The grass looks real! 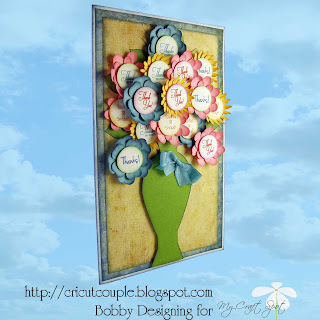 What a great background for these fun die cuts! 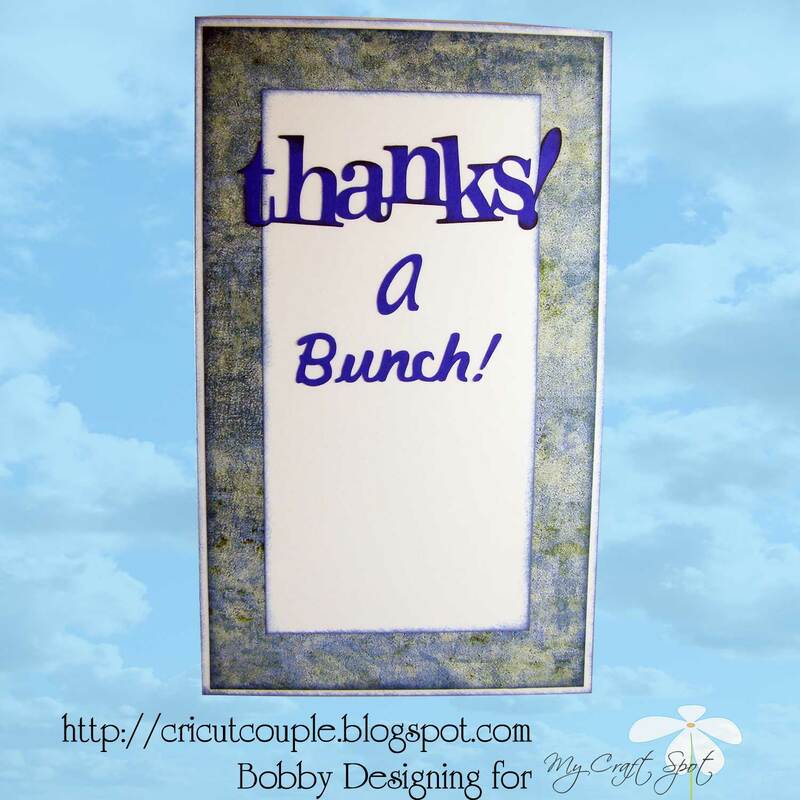 This sentiment would be fun on a scrapbook page too! Candy's digi is gorgeous and the purple and green are so pretty together! I LOVE the tiny Bakers Twine bows in her hair! 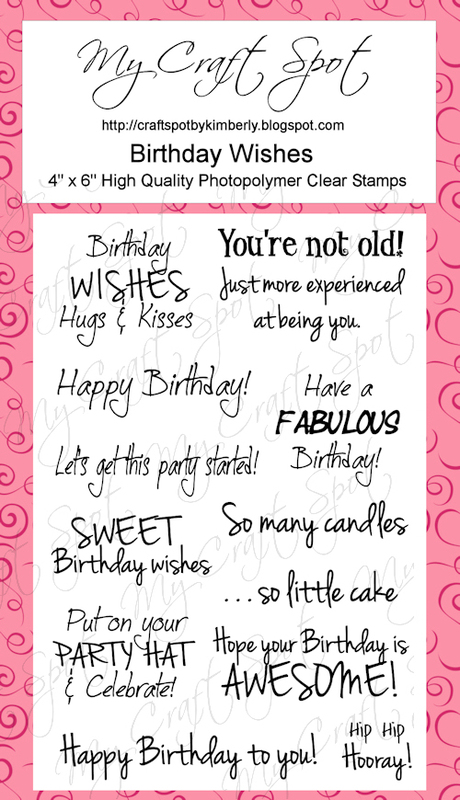 Kate's card is so fun! The girl with the umbrella is such a cute cut and the embossed background makes me think of rain! Kate's border is so pretty with the 2 layers! What a great place to stamp a sentiment! I love how Ally added the cute rain boots to her framed sentiment! Beautiful card!! 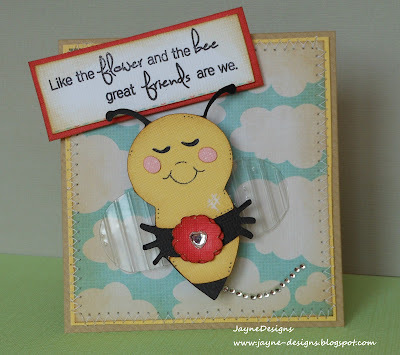 The faces on Marlene's bee and flower are adorable!! What a fun shape for a card! Come back tomorrow for our Blog Hop!! There will be prizes at each stop on the hop! 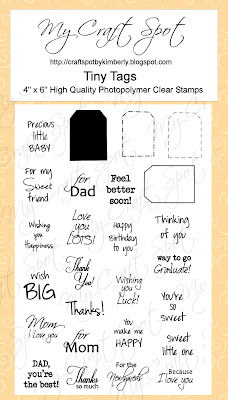 Today's stamp set is Tiny Tags! I love to add tiny tags to the center of bows and anywhere else a little something extra is needed! Every sentiment on this set fits inside the tiny tag stamps! 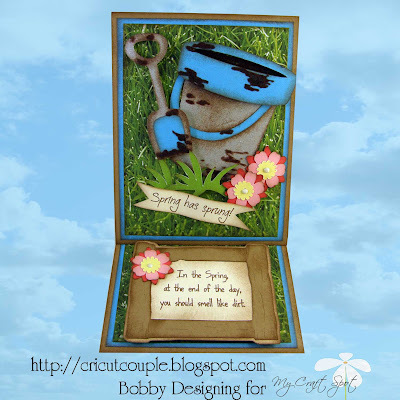 This sweet baby carriage is from the Wrap it Up cartridge. I will post more pictures and detailed instructions for this project next week! 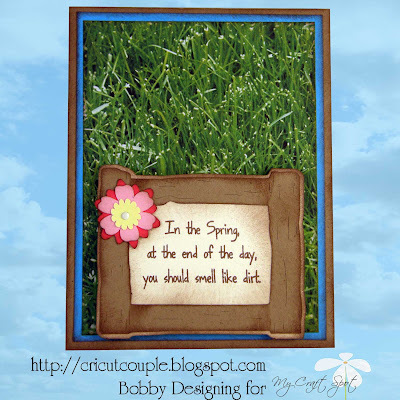 The picture below is a little peek at a card that is identical (Except for the tag) to a card I have being published in the Cricut Magazine in a couple of months, so I didn't feel right about posting the entire card. 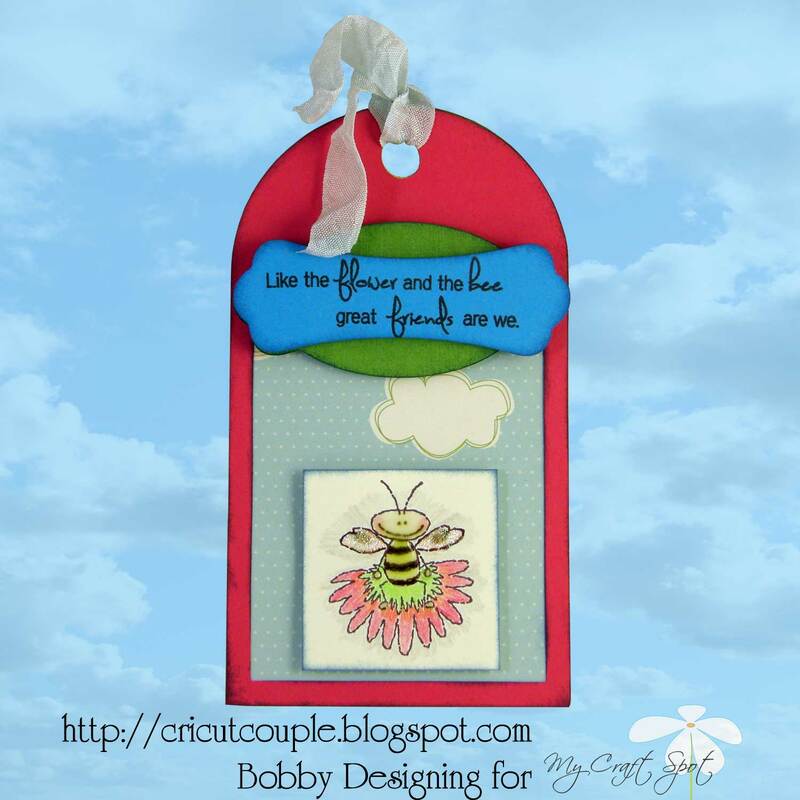 I just wanted to show you another way to attach a tiny tag to your projects. 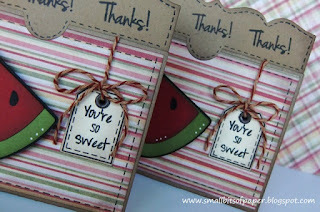 All of today's projects come from the Tiny Tags stamp set! 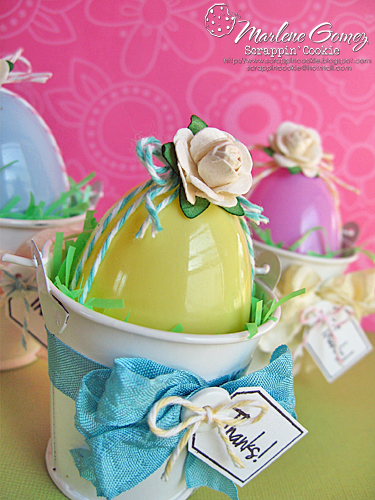 More inspiration from my fabulous Design Team! I love the scalloped top on Kate's cute card! The inking and doodling are amazing! 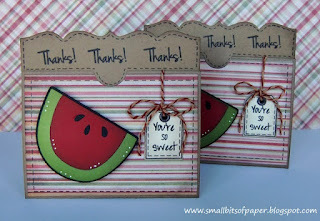 Kate used one of the small sentiments to stamp across the top and then another one on her cute tag! I love Marlene's Carrot Treat cones in their fun box!! What a great idea! 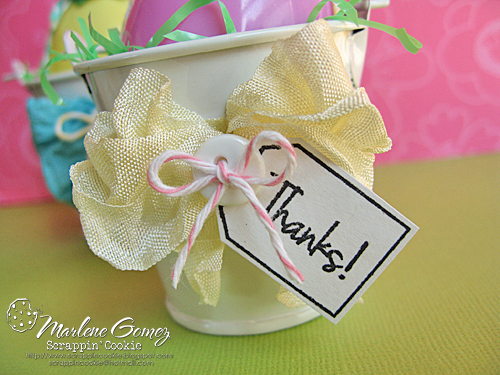 Marlene's "Happy Easter" sign is sooooo cute and I love the papers she chose! Marlene used Spring Moss Crinkle Ribbon to make her carrot top. 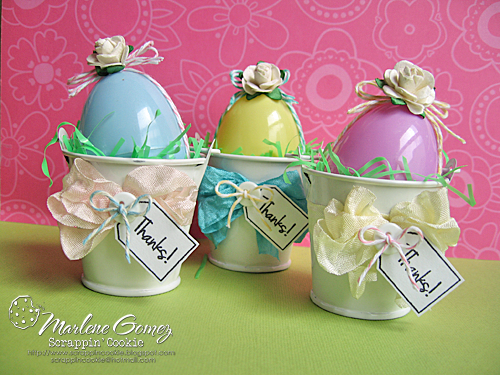 These little egg buckets are adorable! I love all of the pastel colors with the white! Marlene's flowers are so pretty! 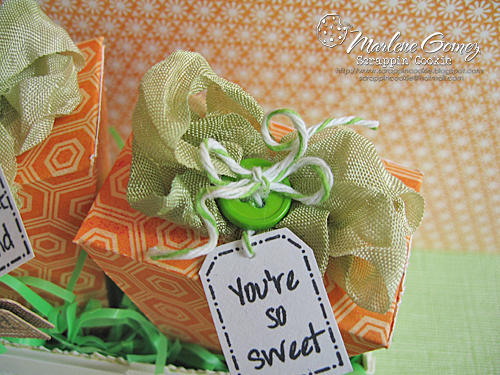 I love how Marlene attached her tiny tag with twine and the white button really makes the twine pop! 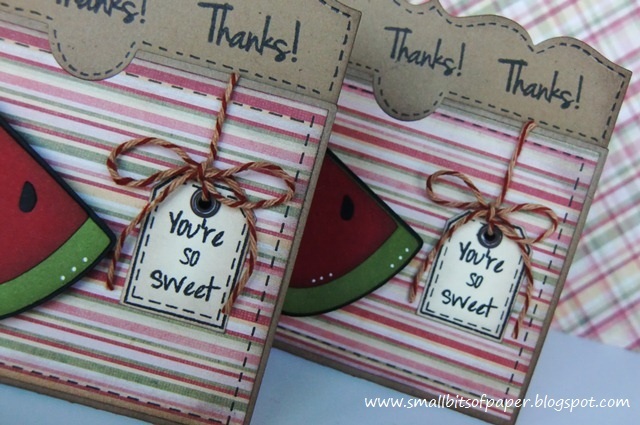 Aymee created a tiny gift box filled with tiny cards! Beautiful!! The gift bag holds 4 tiny cards. How sweet is that?!?! 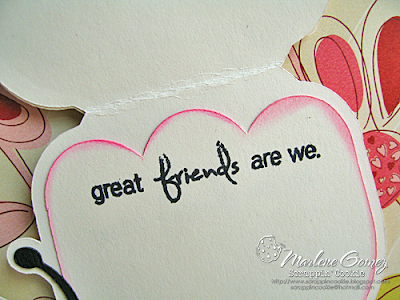 Amber used one of the tiny sentiments to stamp all around her cute card. The face on her crossing guard bear is adorable!! 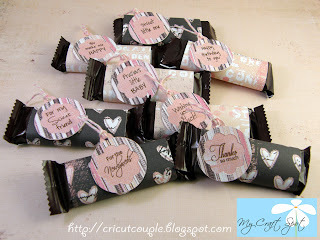 What a sweet way to say "Thanks" to your school crossing guard! I love the round tags on Bobby's miniature treats! 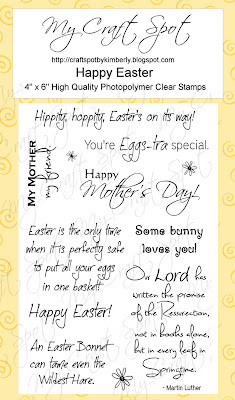 The sentiments are all designed to fit in the same size space so it is easy to mass produce! 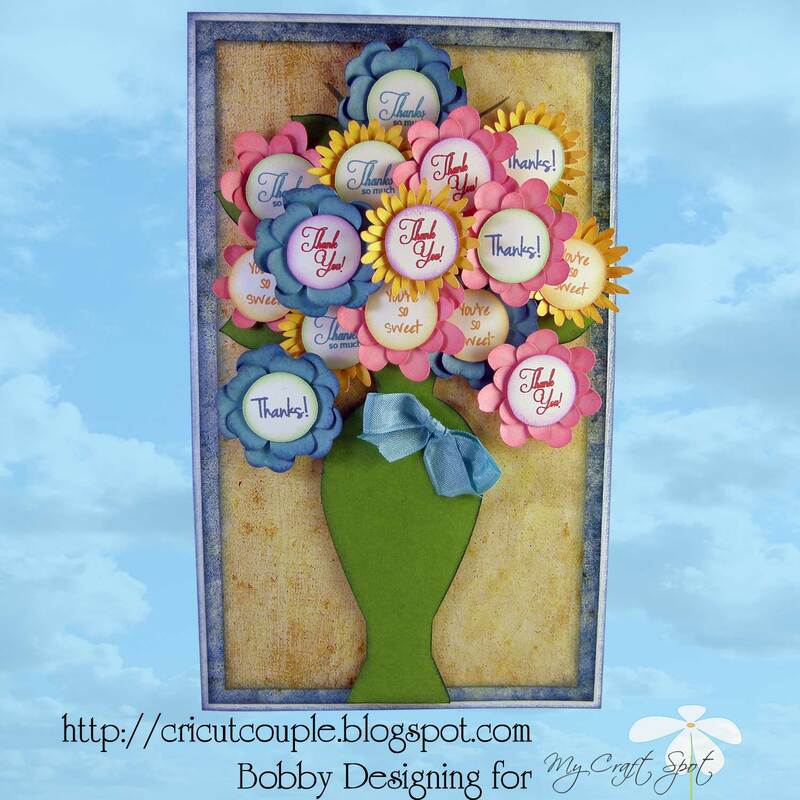 Bobby's flower bouquet is spectacular!! 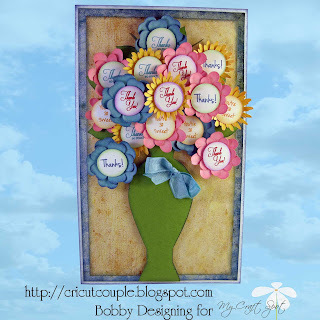 I love how he used a variety of sentiments as centers! 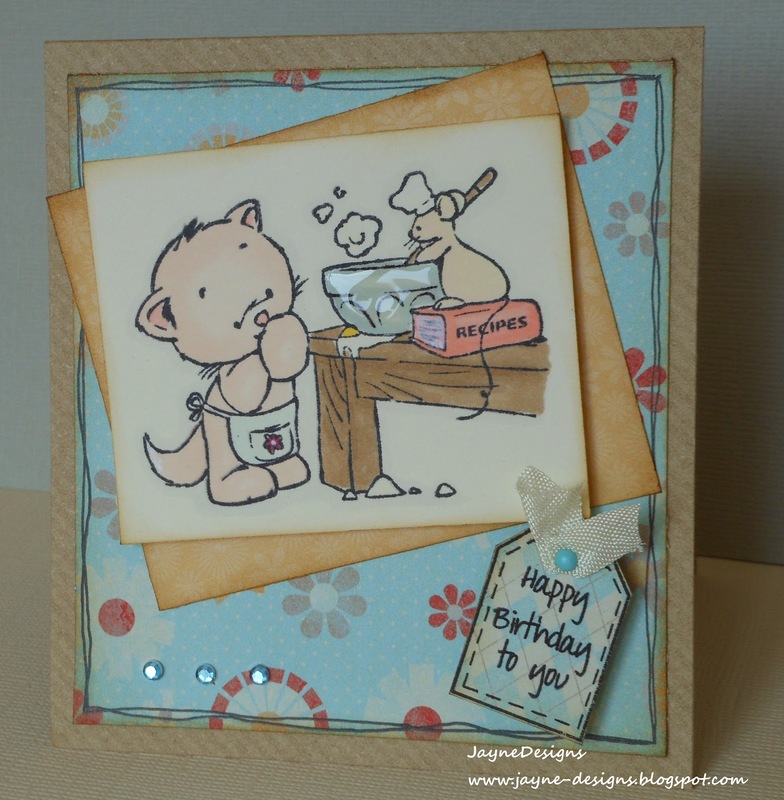 Jayne's card is soooo sweet! I love the digi and all of her inking! So pretty! Jayne's treat box is awesome! I need to give this cut from TBBM2 a try! Crinkle Ribbon is perfect for this little box! Ooooh! 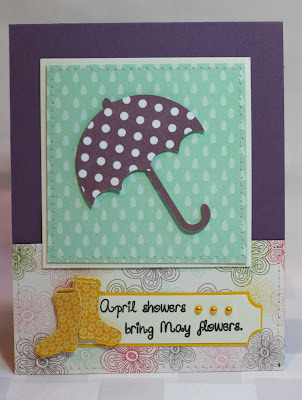 I love the sparkly diamond and the rich colors Candy used on her gorgeous card! How cute is that to hang the tag on her ring?!?! Love it! 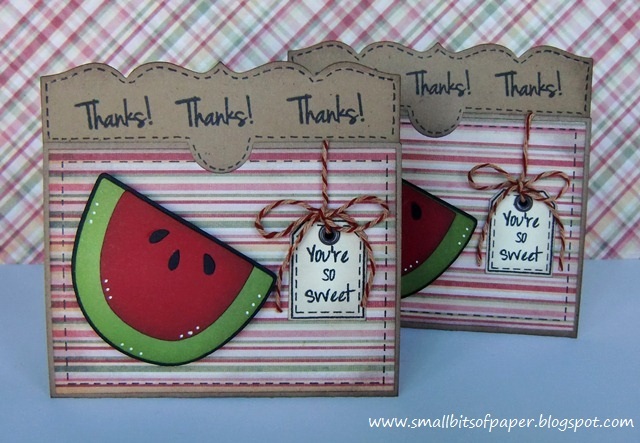 I love how Candy paired these two sentiments together! 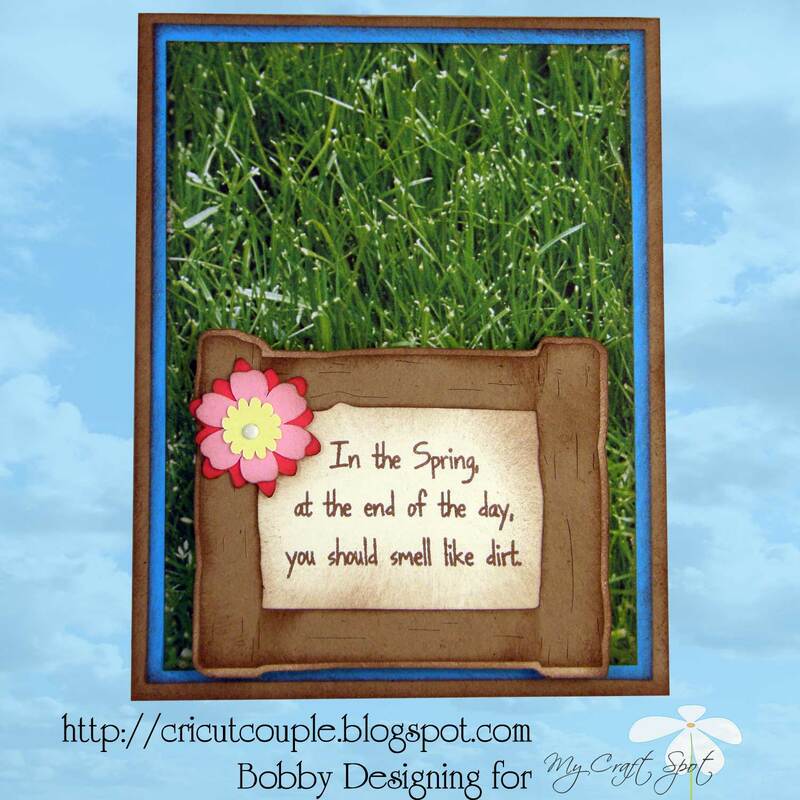 The sentiment on the inside of her card is from the Happily Ever After set.